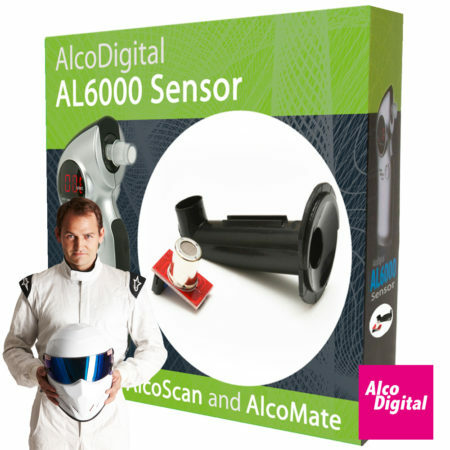 The AlcoDigital AL7000 swap and go breathalyzer is the most accurate semi-conductor breathalyzer in our range. It has an accuracy of ±0.01% at 0.05% BAC. It also has a replaceable swap and go sensor, therefore does not require sending away for calibration. 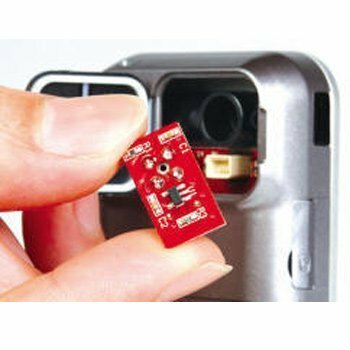 Simply purchase a new sensor and change it over yourself every 12 months – it’s as easy as changing a battery! 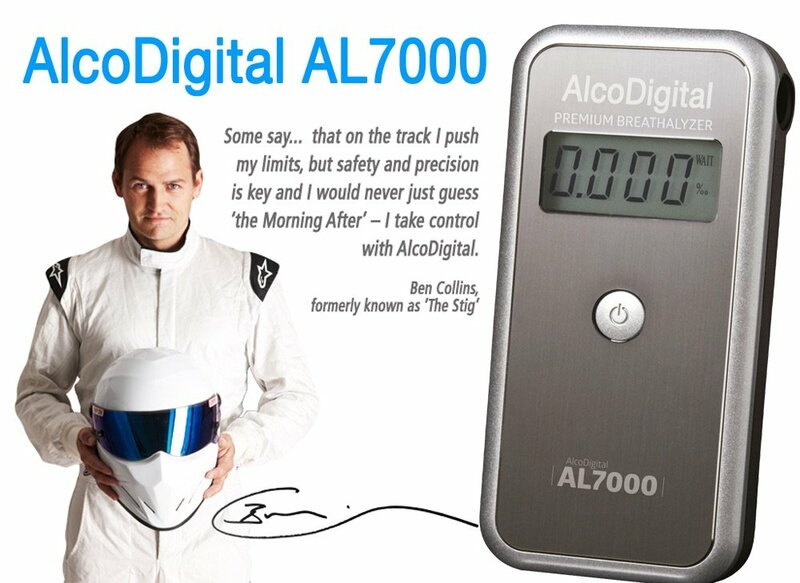 The swap and go AlcoDigital AL7000 sensor measures alcohol in Milligrams per Litre of breath and displays measurements up to 2.00Mg/L. The Al7000 is also the only semi-conductor breathalyzer which comes with a hard case and in car power supply for safe keeping and no battery wastage when travelling. Batteries included give about a 200-test lifespan. 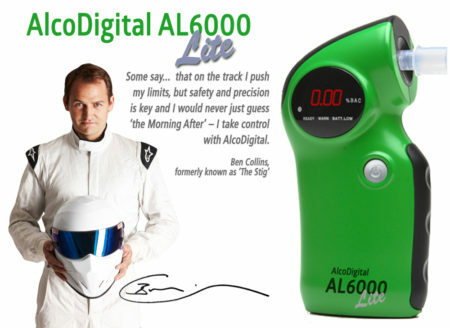 How easy is the AL7000 breathalyzer to use? 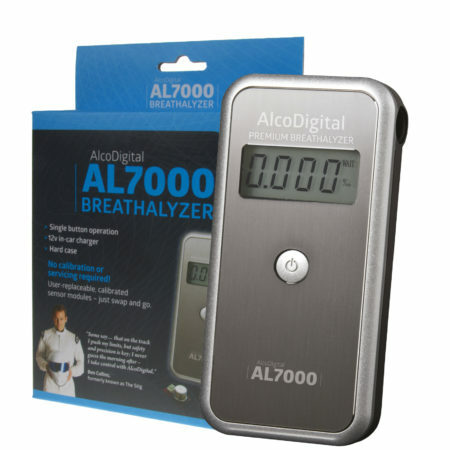 The AL7000 breathalyzer has a very simple, one button operation. 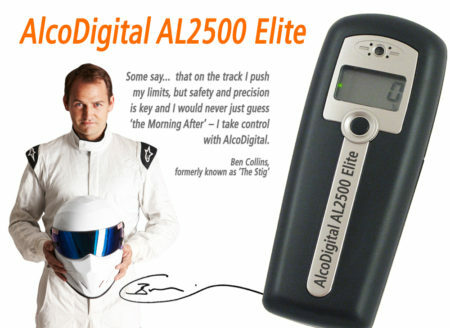 With one press the breathalyzer switches and warms up ready for your test. While it warms up you can insert one of your re-usable mouthpieces, one of which you can keep safe in the battery compartment of the unit. When the AL7000 is ready it will display the word ‘ blow’ on the screen. It is then that you supply a deep and steady breath through the mouthpiece, into the AL7000. While breathing into the breathalyzer a long beep noise will sound. When you hear two beeps the full sample has been taken and you can now await your result, which will be displayed on the LED screen in Mg/L. The whole process has been designed to be as simple as possible, so even after a few drinks there is nothing complicated to worry about. Please remember that there is no safe reading to drive on other than ZERO. 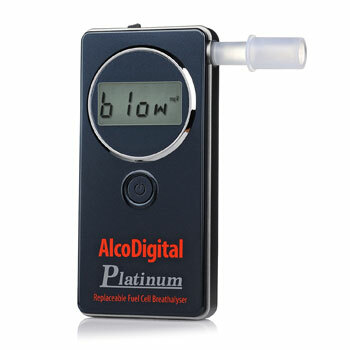 Nobody likes having to send their breathalyzer in for calibration every 12 months but how else could you continue to trust the accuracy of your breathalyzer? With our swap and go range you can have that confidence without having to send it away to have it calibrated. 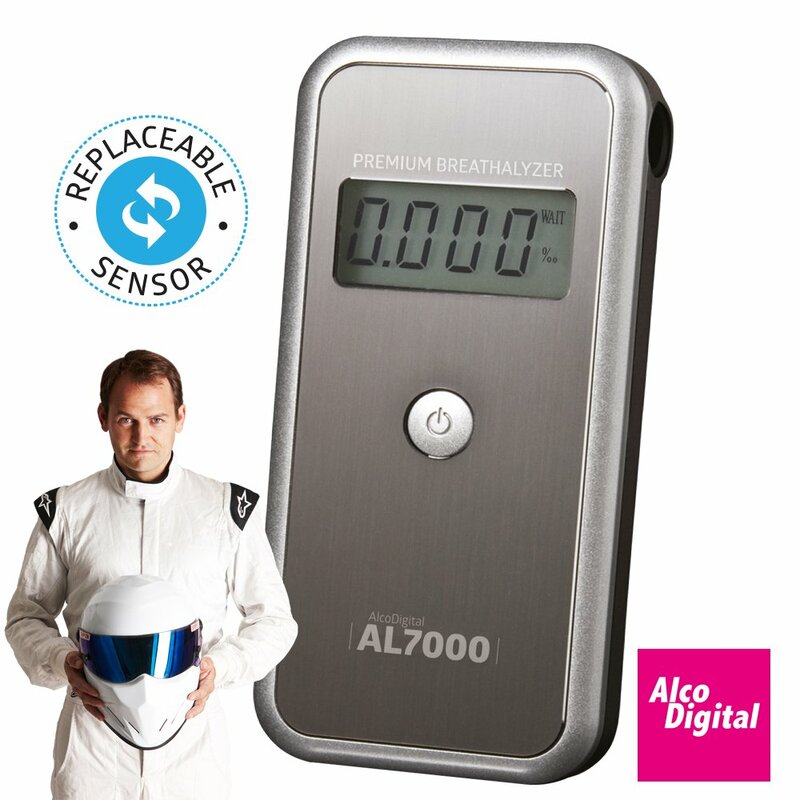 The AL7000 breathalyzer replaceable sensor should remain accurate for 12 months (or 300 tests), you can then swap with a brand new and unused sensor easily purchased online and delivered to your door. The AlcoDigital AL7000 breathalyzer comes with 5 mouthpieces. They are all re-usable so you shouldn’t need to purchase any more in the future. 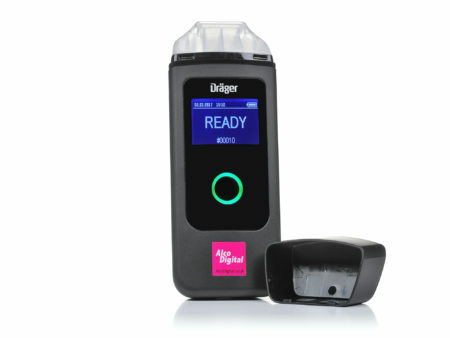 There is even a little compartment in the back of the breathalyzer to store one mouthpiece so you don’t forget to take one out with you. You can store the rest in the hard case provided. The AL7000 also comes with an in car power supply so that when you are on the go you don’t need to worry about draining the batteries with use. It’s always good to check yourself before you drive, even if it feels like a while since you had your last drink. 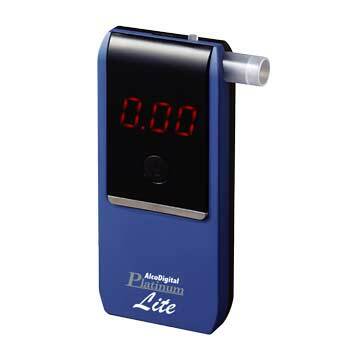 Test counter – If you press and hold the on/off button when you turn the breathalyzer on you will be shown the test number you are on. Automatic power off – Just incase you forgot to turn your AL7000 off after a test, don’t worry. 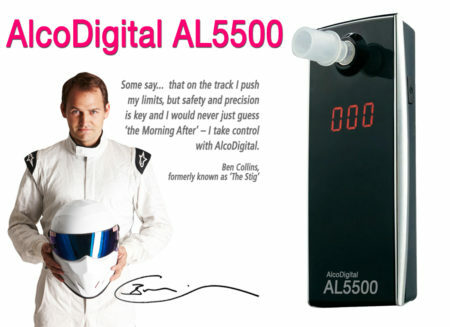 The breathalyzer is programmed to turn itself off when not in use. Hard case – For safe keeping and travel, but still small enough to keep in your glove box.